Scales intended for mobile use have to be lightweight. 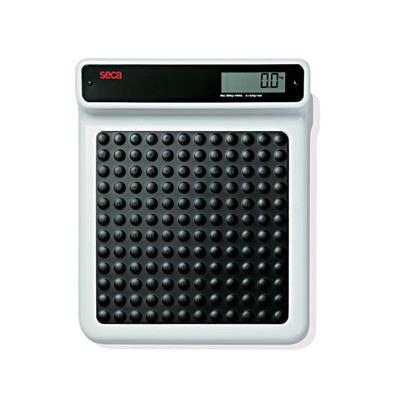 This scale is nevertheless very stable and suitable for persons weighing up to 200 kilogrammes. It stands firmly on four leveling bases that guarantee stability, even when small children are weighed while held by an adult. The mother/child-function (seca 877) ascertains, and displays the weight of the child with just the touch of a button.